Although he was aiming to secure a treble in his first season at FC Bayern München, Arturo Vidal admitted that lifting the DFB Cup next Saturday against Borussia Dortmund would be a thoroughly satisfying way to sign off his first season with the Bavarians before heading to the Copa America Centenario this summer. Question: Arturo, how happy are you to win the title in your first year back in the Bundesliga? 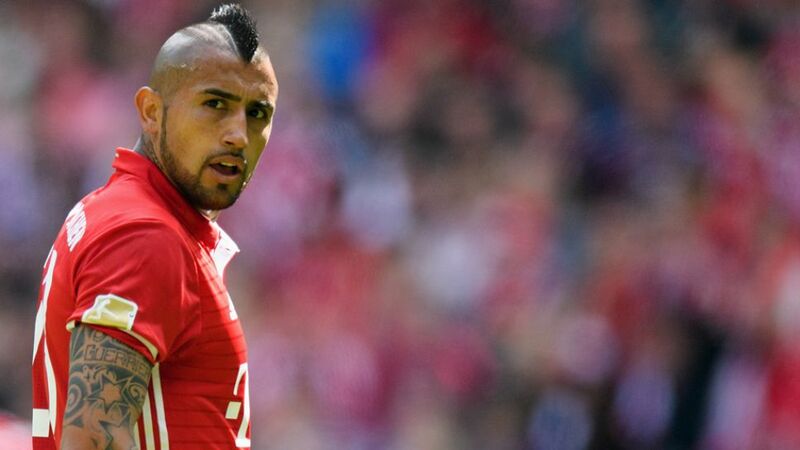 Vidal: My main aim was always to win the Bundesliga and next week we have the German Cup final. The Champions League may have eluded us this time around, but I hope we win the treble next season. Question: And how happy are you to be the first Chilean to win the Bundesliga? Vidal: Yes, that's something I heard and saw. I’m happy about it. It’s something important. I could have been champion with [Bayer 04] Leverkusen, but I came back here and I am now. Obviously, I won four titles in a row in Italy, so I’m really happy now [to have done it again]. I hope to keep it up! Question: How do you judge this season from a personal point of view? Vidal: It’s been a great season. I’ve really grown as a player here by playing in such a good team - a team that is, for me, the best in the world. At the start it was tough as it was different to Italian football, but I ended the season at 100 per cent as a champion and with the Copa America still to come. That’s something that makes me very happy. Question: First you've got the DFB Cup final and then you'll be heading to the national side. How are you going to cope with the quick turnaround? Vidal: There’s not much time to rest, but I’ll have three or four days [after the DFB Cup final] of rest and re-gaining my energy for the Copa America. We have to show what made us the best side in the Americas last time out. We can’t rest any players. The Chile national team has to get used to winning trophies. We have to have the best players on the pitch in every tournament and every game.